A dark football stadium starts to fill with light. Students holding candles pass their flames from one person to another. This scene comes near the end of Woodlawn (2015), a film about a high school football team that experienced spiritual revival in the 1970s. 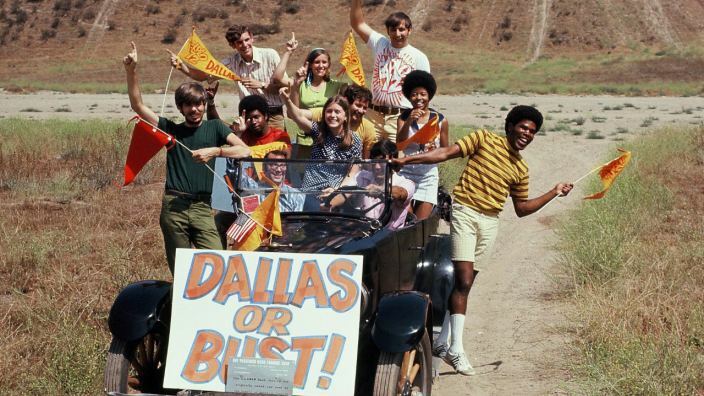 The scene and others in the movie reference Explo ’72, a Campus Crusade for Christ (now Cru) conference that drew more than 80,000 college and high school students to the Cotton Bowl stadium in Dallas, Texas in 1972. The massive event marked the height of the Jesus Movement. Young people started a new wave of passion for sharing the gospel, one person at a time. During the day the students attended training sessions and scattered out to the city to share their faith. At night the crowd gathered to hear teaching from Bill Bright and Billy Graham on topics such as walking with God and sharing Christ in the power of the Holy Spirit. The event was also a pivotal moment for its music. It has been referred to in the press as the Christian Woodstock. Christian music was just breaking the scene at the time. Famous musicians performed, including Johnny Cash, Kris Kristofferson, Love Song and Andre Crouch and the Disciples. “It seemed just so loud and so upbeat and the response of the crowd was just amazing. They were really emotionally involved in the music,” says Dean Anderson, a Cru staff member at the time who helped plan the event a year in advance. Although the rain drenched people’s tents, it didn’t keep them from worshipping. The high energy level continued until the close of the event that Saturday. The mobilizing effect of Explo ’72 lasted years after the conference. Attendees devoted themselves to full time Christian service, dedicated their lives to Christ and returned home with renewed vision. The time in history gives a picture for future revival. Were you at Explo ‘72? What do you remember? Comment below. Cru is a nonprofit ministry where staff members and missions participants raise support. Learn how we trust God to provide for our ministry needs. As we say goodbye to 2017, we wanted to highlight some of Cru’s most popular articles this year. From what we can see, you have a heart for the Lord and for the people around you.